Magic, Mirth and Mystery - as part of Wonderland's Magically Fun Long Weekend. Introducing a fabulously dramatic, enchanting and visually dazzling family show, filled with comedy, character and magic galore. Enjoy a spectacular world of dreams and fantasies to follow the story of a traveller who becomes a magician after meeting an intriguing lady! Magic, Mirth and Mystery is where the impossible is possible; things appear and disappear, tables floats around the room and dreams are plucked from your mind and gathered in a bag. Come on a journey with these engaging characters across the ocean to Paris, meet the Owl and the Pussycat, jump right into their dreams and be prepared to be enraptured and bewildered. Magic, Mirth and Mystery incorporates classic magic set to themed music, original mind boggling magic routines, illusions and plenty of opportunities for the audience to lend a hand. Magic, Mirth and Mystery will blow you away, leave you flabbergasted and is a guaranteed hit for families and children aged 5 - 15. Madotti and Vegas have performed in Hong Kong, Japan, New Zealand and Australia. Australian venues include The Sydney Opera House, The Forum Theatre Melbourne, The Tivoli Theatre Brisbane and The Star Casino in Sydney. Show Only: This option is valid for 1 x General Admission Ticket to the show. All patrons aged 3 years and over require a ticket. Family Pass: This option is valid for 4 x General Admission Tickets to the show. All patrons aged 3 years and over require a ticket. Please Note: 0-2 years do not require a ticket to the show if accompanied by a paying adult. Ride Wristbands are also available to all the Wonderland Funsters during the long weekend! 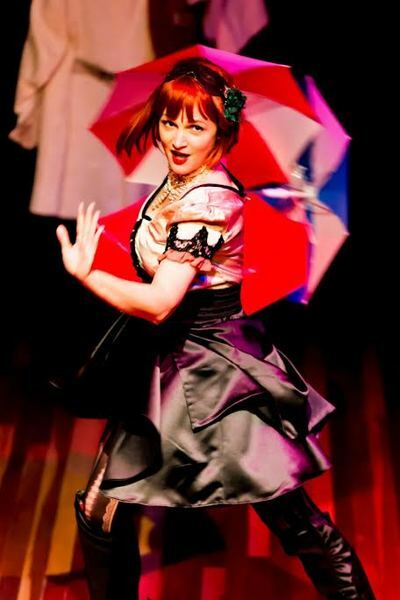 When: 'Magic, Mirth & Mystery' will perform LIVE in the Wonderland Spiegeltent this 11, 12 & 13 of March at 11:30am. Book: Head to wonderlandspiegeltent.com.au to book your tickets!